ORLANDO, Fla. — The Red Sox may have too many needs to fill them all via trade or free agency. That could be good news for Jarrod Saltalamacchia, Jed Lowrie, or Ryan Kalish. During a 20-minute session with Boston reporters yesterday at the general manager meetings, Theo Epstein said he would not be opposed to giving one of his younger players the opportunity to start. Saltalamacchia in particular seems to have built up a surprising amount of credibility. The 25-year-old catcher was with the Sox for two months after being obtained from Texas. He played in only 10 games but may have earned the right to get a long look. “I think we’re comfortable with him in a role anywhere from backup to job share to everyday guy, depending on how the rest of the club shakes out,’’ Epstein said. “We like him. “We took the opportunity to buy low after he had been through a rough period and he really impressed the staff, who had no vested interest in him. Epstein said if Saltalamacchia were the primary catcher, he would likely be paired with a veteran, preferably one who hits lefthanded pitching well. Though Saltalamacchia switch-hits, he has hit righthanders significantly better in his career. Jason Varitek, who had an .868 OPS against lefthanders last season, could be a fit in that scenario. Epstein reiterated, however, that his preference would be to retain Victor Martinez. Saltalamacchia, while promising, is a career .248 hitter. 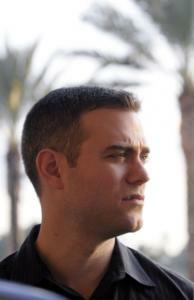 Lowrie would be a possibility at third base and Kalish in the outfield. Both performed well in the second half of last season. Leadoff spot MLB executive vice president Rob Manfred met with the GMs for much of the first day to discuss issues related to upcoming collective bargaining negotiations with the Players Association. Manfred and the GMs were tight-lipped about the topics, fearful of forfeiting any leverage. But the idea of expanding the playoffs to include another wild-card team was discussed. The time spent with Manfred cut into the usual negotiations that occur at these gatherings. But Epstein did find time to talk trades with his colleagues and last night met with some agents. No deals are imminent. “We’ve met with some clubs and talked trade ideas, big, small, and in-between,’’ he said. Miller time The Sox are not waiting until spring training to start working with Andrew Miller, the lefthander who was acquired from the Marlins last week. “We’re going to get to know him soon, probably over the next few weeks, and get together and try and build a foundation,’’ Epstein said. “Physically, mentally, fundamentally get on the same page so we have a plan for him to make some improvements and try to build that foundation now so that when we get to spring training, he can just go out and perform.’’ Miller, a former first-round pick, is out of minor league options, so the Sox will have to make a decision on him before the season. So the work starts soon. “I don’t want to talk about details, but all the parties will be getting together at some point,’’ Epstein said. Comebackers Bench coach DeMarlo Hale did not get a second interview with the Mets as they search for a new manager. Epstein said he expects the rest of the staff to return, including first base coach Ron Johnson, who missed the last few months of the season to attend to a family emergency. Epstein said no changes were planned on the medical staff despite last year’s plague of injuries . . . The search is ongoing for a Triple A manager . . . Epstein had not had a chance to speak with righthanded reliever Taylor Buchholz, who was claimed off waivers from Toronto Monday. “Really impressive stuff,’’ Epstein said . . . Red Sox owner John Henry arrived to prepare for the owners meetings, which start today.